Russia is not only about Red Square, Golden Ring, Siberia and Saint Petersburg. 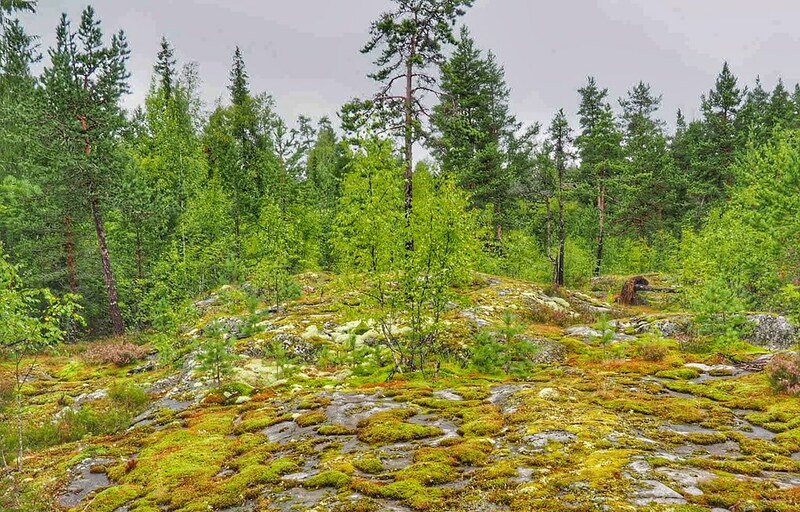 In this post, I’ll tell you about the cruise to Karelia: amazing North of Russia and visiting Ruskeala, Sortavala and Pellotsari. 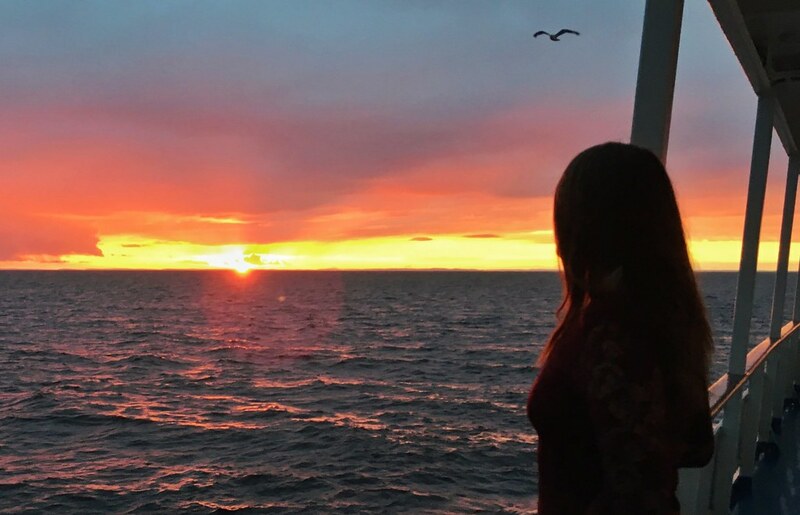 I took this cruise to Karelia as part of my corporate event in August and honestly, that wasn’t the best time to visit Karelia. It makes sense to wait for the weather forecast to be announced and see, which weekend would be suitable for visiting the North of Russia. Where to buy the cruise to Karelia? Well, you can buy the cruise from one of the travel agencies or from the official website. Note: as the website is in Russian, you’ll probably need to translate the page via Google. Depending on the type of the room, you’ll pay at least 180 euros for 2 people. This might sound a bit expensive, however, food & excursions are included in the price, meaning that you don’t have to pay anything besides this price. The cruises operate from May to September, but there are some especially busy days. How does the cruise ship look? What to expect from it? Well, the cruise ship is definitely not a Royal Caribbean one 🙂 but it’s pretty much okay for sleeping (unless you switch on the lights in your room, open your window and go out for many hours – you’ll have a huge surprise upon your return, a horde of insects of all sorts and sizes) inside your precious little room. You’ll have a room with two beds (if you choose the cheapest category), a bit outdated heater (or air conditioner), your very own bathroom and a big window (with the nice view). Even though the ship looks a bit old, it’s in a pretty good condition, suitable for living there. There are a couple of shops on the cruise ship, most of them selling souvenirs and some useful goods like a rain coat or umbrella. Also, there is a disco bar, where you can buy some drinks. Regarding alcohol, if you’re planning to drink something, it makes sense to bring some alcohol with you. The meals are included in the price of the cruise and are more or less okay. During the first meal, you’ll have a list of dishes for the next day, where you have to pick the dishes you like. You’ll have 3-5 choices of a salad, main course, dessert and a drink. However, everything is is Russian, so this might be a challenge. But who doesn’t like challenges? You’ll need to go to the River Terminal of Saint Petersburg (from where all the cruise ships to Karelia etc depart) at the time indicated in your ticket. Usually, it’s around 5-6 pm. Once you check in, you have time to change clothes, walk around the decks & enjoy the beautiful views on the top deck of the ship. Around 7pm you’ll have a dinner and just after that, some live music will start. The next day you’ll have to wake up at 7 (in fact, you’ll be woken up by the radio which cannot be switched off) and head to breakfast. You’ll need to go to breakfast early, if you belong to the first group, for example. You’ll know your group when you check in (or you can ask). Also, if you’re in one of the first groups, you’ll have to board the small ferry in the morning earlier, than the others. There will be 2-4 ferries, delivering people to buses, which head to Sortavala. 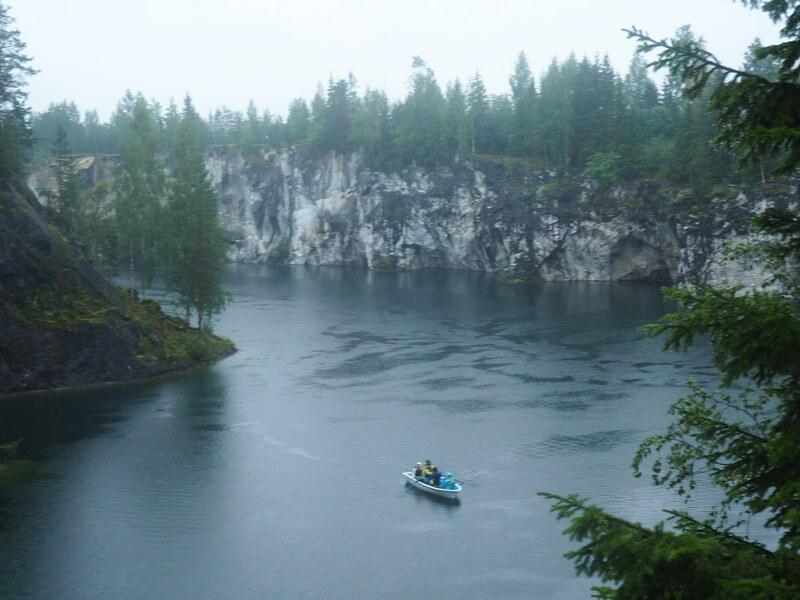 From Sortavala you’ll head to the Marble Canyon in the Ruskeala park. The Marble Canyon is really amazing. It looks great even during the terrible weather conditions. You’ll be given a couple of course and you can walk around the Canyon taking a longer or a shorter route. There are also some other interesting attractions, which, however, cost some additional money, like boat ride inside the canyon or rope jumping. After the walk, you can eat something in the local burger place or buy some cool Karelian souvenirs, while waiting for your bus. 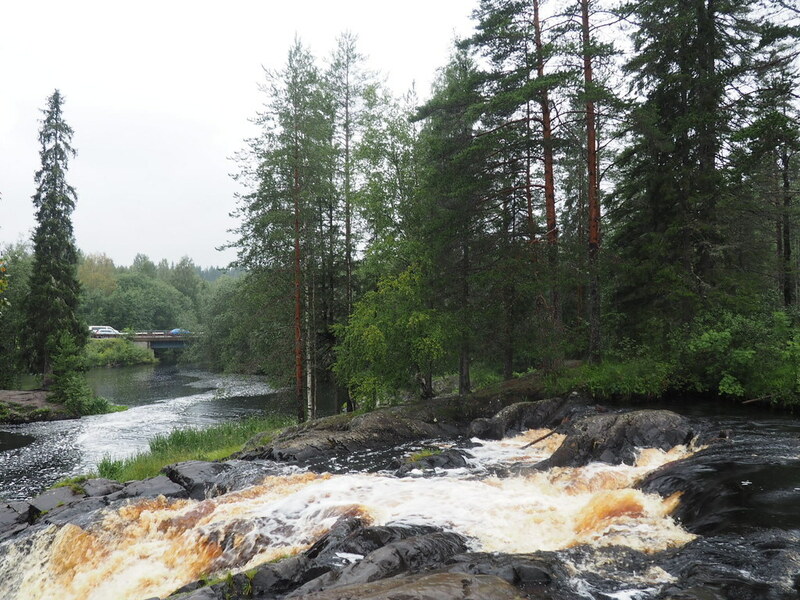 After that, you’ll head to the local “Ruskeala waterfalls” with the unusual color of water: almost brown. You’ll have 40 minutes to walk around and take some nice photos. Finally, you’ll be brought back to Sortavala to visit some nice museum of wood carving. After that, you’ll be delivered back to the cruise ship for lunch. 1 hour after lunch the new excursion will start – the ship will approach the Pellotsari island pier and leave you there (if you don’t want, you can stay inside the ship) for 1.5-2 hours. The walk is really nice – the island isn’t inhabited, but it’s often visited by the cruise ships, so the infrastructure there is great. However, it’s easy to be lost in the forest – so don’t go off the route! You’ll see some amazing sceneries in Pellotsari. Finally, you’ll be back to the ship, where you can have dinner and listen to some music again. The next morning the ship will arrive back to Saint Petersburg around 8am. 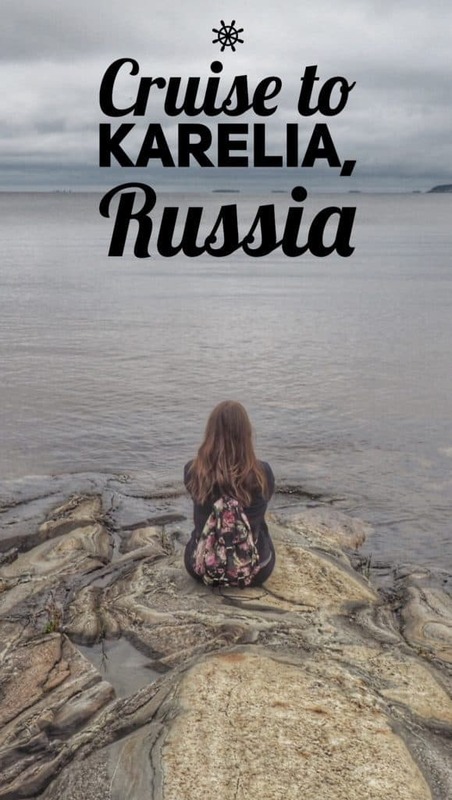 To summarize, I must say that visiting Karelia by ship (going to cruise to Karelia) in order to visit Ruskeala and Pellotsari is probably the easiest and the least tiring way. There are some other tours, e.g. bus tours or train tours but generally, they are much more tiring. There are even one-day tours, but you need to leave around 6am and will be back to Saint Petersburg very late in the evening. However, the bus options are generally MUCH cheaper than the other tours. That’s why it’s important to decide, which mean of transport you would prefer in this case and go for it. P.S. : In case you have more time, choose a cruise which includes the Salaam Monastery – it’s truly amazing!